If you’re reading this, than you know the importance of social. Although the phrase, “social media is important,” may come off as an indisputable fact to you, chances are, there are components of social that are just as integral as social itself, that you are ignoring. If you have a social media plan that just isn’t falling into place, read these three truths and see if you are integrating the actions into your social plans. Guaranteed that when applied, these tips will make all the difference! Each business has a different speed, but when it comes to social media, it is imperative that you respond at the speed of social. When does this come into play? When your company is making big changes, or if they’re sitting in a hot spot. Your consumers will be interacting to you on social, and responding at the speed of social will show that you not only have a grip on your service, but that you are engaged and listening to your consumer. A great example of this is the Netflix Qwikster merge. In 2011, when they doubled their prices and announced the ill-fated Qwikster, their stock plummeted from a high of 298 on July 13th(5 days before their announcement at the beginning of July) to 63 by the on November 25th. Having the ability to interact with fans via social media was integral to fixing Netflix’s reputation, but it had to be done asap, “with the speed of social.” Your ability to respond to your consumers must be precise and fast; faster than ever before. Think of the crowd as public perception or your social “community.” The crowd on social is real and engaging (and is growing massively!) The crowd is also responsible for the virality that has taken over the web. While many businesses are making their presence known on social media, they are forgetting to engage the crowd and thus, to create a community. A great way to remember the importance of this is to realize that product sentiment and brand sentiment are two very different things; people can love your product, but it doesn’t mean that they like your company. Creating a brand that evokes your company’s message, and carrying that into your daily social postings will help to include (and create!) a Crowd! Social media allows people to interact at any time, and can encourage a lot of either positive or negative energy towards your company. Truth #3 is based on your knowledge that your chances to shine are totally unpredictable – as are your attacks. The best way to combat the unpredictable nature of social is to stay on top of it. Negative recommendations or comments on your social pages when not addressed can lead to a negative Crowd image of your company – but, when maintained, negative comments can lead to a positive experience. Negative interactions with customers give your company the opportunity to make things right and to go above and beyond with communication, thus further impacting your company positively than the harm a negative comment, or even a dull, positive comment, would have. In summary: Being Proactive is the New Normal! This entry was posted in Facebook, Google+, LinkedIn, Social Media, Twitter on November 12, 2013 by Jaclyn Freedman. Are you trying to boost your website’s SEO ranking? Are you sick of tirelessly re-posting blogs throughout social sites, without seeing any improvement? Certain social sites provide do-follow links that will help to improve your SEO value, but which? 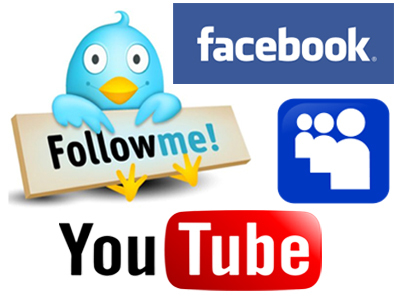 Below, we explain the process and give you the top 10 social media sites that provide do-follow links! What is a do-follow link? A Do-Follow Link tells Search Engines like Google, to follow the destination inside the link, thus indexing your page and helping your SEO value. Certain sites automatically provide do-follow links, although most popular sites provide only no-follow links. A No-Follow link does not help your SEO value because it tells Search Engines that they should not follow the link, hence not indexing your page or helping boost your SERP. YouTube is a great place to ensure a video about your product, company, or service will be seen by lots of people, and better yet, YouTube allows you to add a description where you can include a link in your header, as well as social links, that are all do-follow links. Links added in your description or in the place specifically asking for a link, are actually no-follow. You may have noticed that Hubpages have do-follow links in the articles, rather than mainly no-follow links. The catch here is that your Hubpages account needs a particular number of points (minimum 75) or the hub score needs to be minimum of 40, to provide do-follow links in the hubs. Also, remember Hubpages does not accommodate do-follow links in the comment section or profiles. 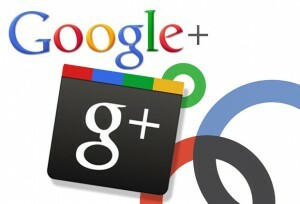 Google+ is a tricky site, as it provides both do-follow and no-follow links. The links in the comments and the links we get when sharing text content, are no-follow. The content posted in the “Share What’s New” section however, are do-follow links. All the links you see in your LinkedIn feed are all do-follow links, however your LinkedIn posts will not appear in a Google search, as the search engine doesn’t have access to a huge part of LinkedIn content. The most notable place that LinkedIn offers do-follow links are in the “My Publications” section. The ranking factor for the links posted in the “My Publications” section are based on how long the redirect has been around. Pinterest is one of the first sites people think of when they think of social sites that offer do-follow links, although it doesn’t allow for as much linking as you would think. Pinterest links to your site from the profile, via a do-follow. Contrary to popular belief, links in the “Pinned from…” box are internal and don’t lead directly to your site. WordPress offers an excellent free blogging platform. WordPress automatically uses no-follow profile and comment links, in an attempt to prevent spam. However, WordPress does offer the opportunity for you to turn your links into do-follow with each individual post you create. BizSugar is an awesome site that encourages the sharing of business tips and updates for entrepreneurs, digital markets or those in social business. All links posted via BizSugar are do-follow! Tumblr is a super popular blogging platform that offers lots of beneficial links. Links in both your profile, a well as links shared via posts are all do-follow links, so get to tumblring! Blogger is owned by Google, and thus it shares the posts that get indexed first, plus all the links on both Blogger and Blogspot, all are automatically do-follow links. 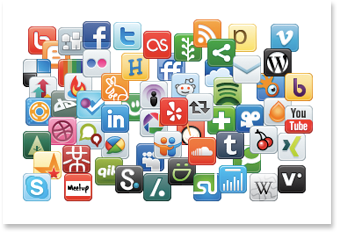 As an added linking benefit, we have included social bookmarking sites that fetch do-follow links! This entry was posted in Blogging, Facebook, Google+, Instagram, LinkedIn, Social Media, Twitter on November 4, 2013 by Jaclyn Freedman. Timing is essential to your everyday life, and social media posts are no different! Knowing the best and the worst times to post on Facebook, Twitter, LinkedIn and Google+ is essential to effective marketing through social media! Wizler has created a guide that illustrates the best times to post on different social platforms, and why! Time is precious and valuable to people everywhere. The social media world knows that. Followers know that as well. Anyone that is posting to social media sites must understand this fact and realize that posts should be sent at the right time of day or night in order to get the largest amount of exposure to the intended audience. Everyone says it and people all know that it is a truth, but why is it a true thing? In social media there are times when people will see things and times when they won’t. If someone wants his or her followers to see what his or her post is saying, then the timing is essential. There are specific times when followers check the tweets for the day. 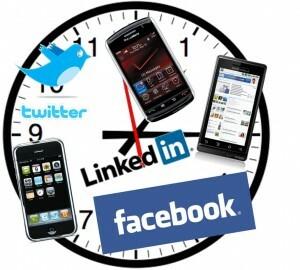 Different ages check Twitter, Facebook, LinkedIn and Google+ at different times of the day and night. Depending on the category and niche, those followers check in at different times as well. All of that must be considered when deciding to post to all of those social media sites. Each one has a unique schedule for visitors and must be evaluated in order to find the perfect time to post on any of them. 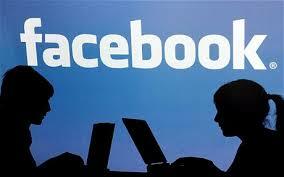 Mobile Facebook users check the site around eight in the morning and again at two in the afternoon. Statistics from research show that most Facebook users that are employed do not check Facebook until lunch and after work. Anyone that wants to post during those down times will be wasting his or her time. The week-end is the worst time to post anything. Twitter is a unique creature. It is about quick posts that happen frequently. The time invested in posting needs to be short and to the point. Statistics show that the tweets that are under 60 characters are highly effective. 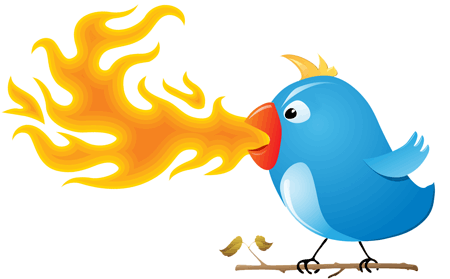 The language that is used for those tweets adds that much more to the audience. The audience always reflects the timing, but in general the best times are from one in the afternoon to six in the early evening. Tweets can be posted at any time and will be viewed or re-tweeted if the request for a re-tweet is made to followers. In this manner, the timing for Twitter is far different from other social media sites. The times for posting with this social media outlet are from seven until eight in the morning. After work, the times are best from five to six in the evening. It also is used more frequently on Tuesdays and Thursdays. This is viewed by people during the hours from nine in the morning until eleven. The later day views begin at six in the evening and go until seven in the morning. That offers far more time to post things for followers to see and interact with. All of these social media sites offer an excellent way to make a persona, daily connection with the audience that fits a niche for business. It could even be for a non-profit operation that raises money for someone in need. No matter what the goal is for the use of social media, there is a time of day or night that suits each one the best. Anyone that follows that time schedule will see improvements in both traffic and potential business. This entry was posted in Facebook, Google+, LinkedIn, Social Media, Twitter on October 18, 2013 by Jaclyn Freedman. Social media is gaining a lot of popularity among businessmen who want to establish a social media presence to promote their business. Consequently, a lot of social media consultants have emerged to help businesses in improving their online presence. A social media consultant is a person who acts as a marketing agent or public relations executive for businesses or political candidates to develop online media campaigns involving the use of video, blogs, forums, and other features that are commonly seen on social networking sites. In short, these consultants assist the companies in managing their online presence on blogs and other popular social networking sites. Social media consultants are familiar with industry trends, and they know how to use the social media tools to provide quality services to their clients. In addition to this, they design strategies to use social media in a way that drives the targeted audience to a business’ site. This helps in building and maintaining the brand image of the company, which is an important factor for a business to be successful. As social media specialists, they act as a driving force to transform a business’ social media efforts, from posting tweets or status updates to a brand building powerhouse. Social media professionals need to be knowledgeable about the pros and cons of every social media tool. This knowledge should not be only limited to Facebook or Twitter. They also should be creative in developing strategies that are profitable as well as provide a return on the investment of the business. 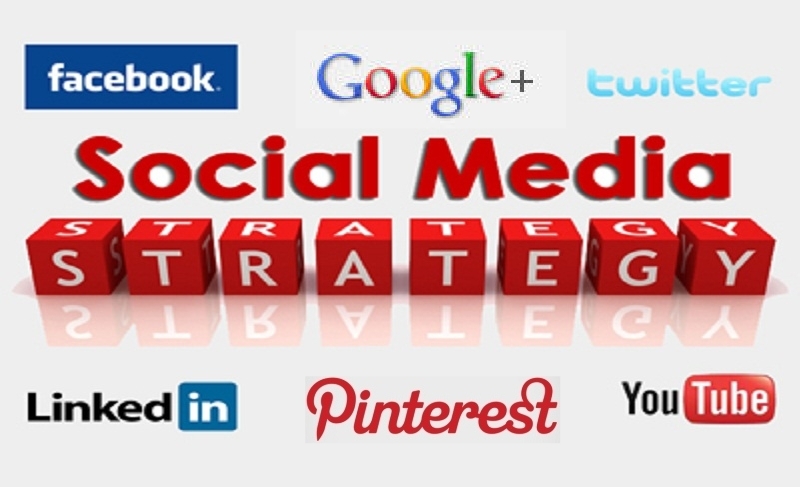 A social media specialist should be analytical enough to constantly assess the strategy with that of its outcome. He or she may then need to change the strategy to improve results. A social media consultant understands the business you are engaged in, targeted audience, present social media strategy, social media presence and other relevant information. The social media specialist will use his or her skills to generate an unbiased opinion of your social media strategy, analyzing what works, what doesn’t, potential weaknesses, and any other issues that need to be fixed. A social media consultant prepares a tailored social media policy, which is specifically designed to help the social media managers, specialists, and employees of the business to understand the expectation of the company while using social media to grow its business. It prepares a business to know their future course of action in case there is any damage to its reputation. Social media consultants doesn’t bother with high numbers of followers or fan bases. They want these numbers to increase on account of the quality of work and engaged fans or followers who will give maximum return out of the time and money invested by the business. A social media consultant prepares a comprehensive social media strategy that includes programs that define the best possible use of social media marketing techniques that helps in increasing visibility, followers, and traffic. 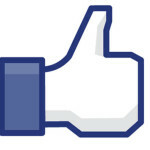 The strategy is prepared in accordance with the impact of social media on the overall marketing efforts of the company. If you already have a social media strategy, then a specialist may re-draft a social media strategy report as per the objectives of the businesses. A company may be promoting its business on all the popular social networking sites, such as Twitter, Facebook, Pinterest, etc. A good social media consultant will synergize social marketing efforts across all sites seamlessly. It is easy to cover all the social media sites, but it is imperative to ensure that every page on each of the social sites includes a link back to the main company website. – Experimenting with different tactics that can leverage social media activities. – Monitoring social media trends and trend changes. – Utilizing social media tools and social media marketing knowledge appropriately to form effective online marketing strategies. – Educate the social media management team on incorporating various social media tactics into the marketing strategy, which can also be reflected in the company’s products and services. – Educating management on how to incorporate the various tactics into the marketing plan. – Evaluating industry best practices and implementing them for the benefit of the clients. – Reviewing the monthly performance of social media activity in accordance with best practices and trends, analyzing any shortfall, providing suggestions for improvement, and choosing the best possible alternative. – Presenting the best possible strategy to the client through on-site work sessions. – Listening to the client’s requirements and delivering the product as per the specifications. Social media is a tool that can be used by anybody. It is a great tool to create brand awareness, build a network of customers, add credibility to a brand name, build a business’ reputation positively, and stay updated on the latest trends in the industry. Social media connects businesses and their customers, which helps in building trust and understanding of the customers’ wants through positive or negative feedback and encouraging the customers to purchase the products and/or services. Thus, there is an increase in the overall operation of the business. 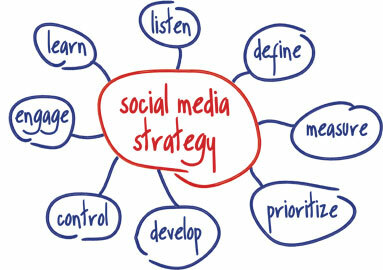 Social media consultants help guide the business in managing their social media strategy and achieve success. By hiring a social media specialist, he or she will be able to manipulate social media tools that are available to help a business grow. Social media consultants understand how to drive traffic to social media networks and, ultimately, to a business’ website. Being a specialist in social media marketing is more than posting text, pictures, and videos to social media sites; it’s providing a special service that increases a business’ online presence, which in turn brings more potential clients to a business. 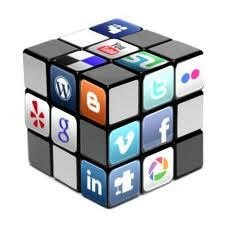 If you’re considering hiring a social media consultant or simply want more information on social media consultants, visit Wizler.com. This entry was posted in Facebook, Google+, Instagram, LinkedIn, Social Media on September 12, 2013 by sieker. This entry was posted in Blogging, Facebook, Google+, Instagram, LinkedIn, Social Media, Twitter on September 3, 2013 by Jaclyn Freedman. If you own a business in today’s competitive world, you know how important marketing is to your success. One of the most popular and effective marketing methods today is social media marketing. No longer is social media just for chatting with friends and family. Today, it also serves as a platform for businesses of all sizes to promote their products and services. It is estimated that close to 75 percent of business owners are currently using social media sites to help market their products and services. Furthermore, according to surveys conducted by Constant Contact, nearly 85 percent of these businesses found social media marketing to be highly effective. In fact, these same businesses found social media marketing to be so effective that they stated they were going to increase their efforts in the upcoming years. However, you may be wondering just what makes this form of marketing work so well. 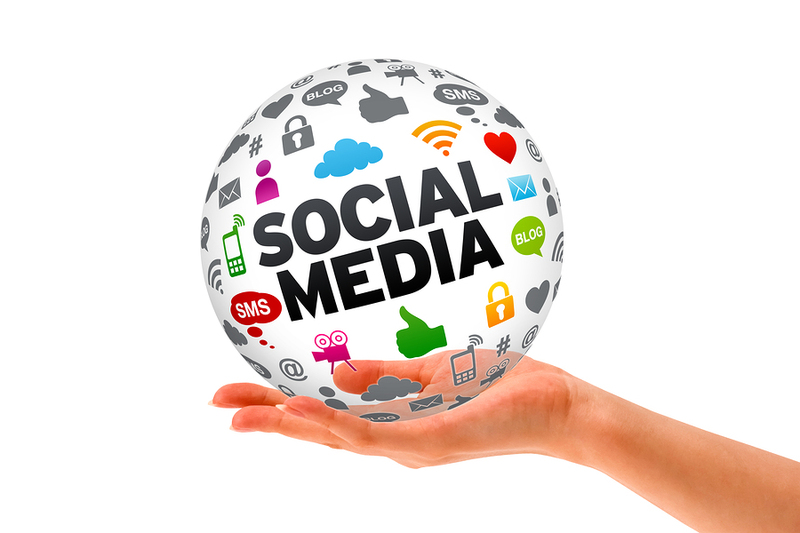 Read on to find out the top reasons why social media marketing can help you. Social media is extremely popular today among both consumers and businesses, alike. In fact, users are in the billions and climbing. 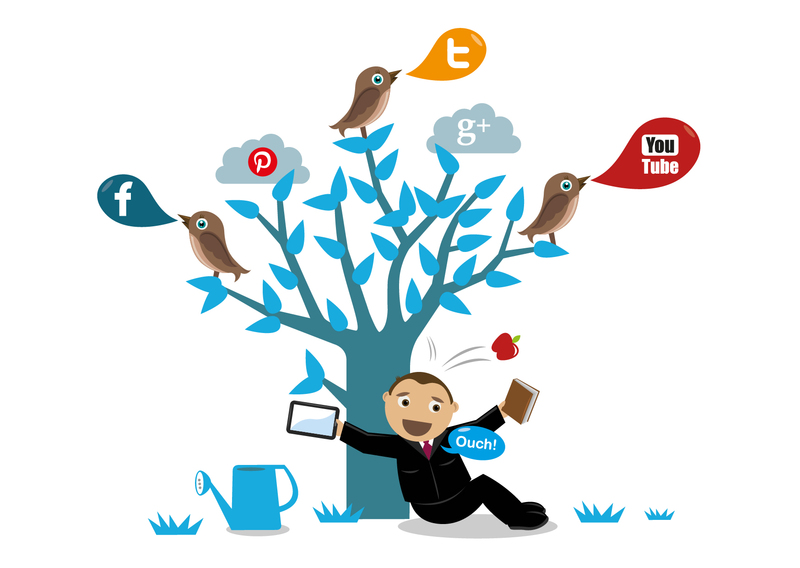 With such an extensive reach, it is easy to see how fast you can grow your business by having a social media presence. Additionally, whenever one of your fans likes one of your posts, their friends will know. This can have great potential when it comes to increasing your customer base. Furthermore, with regular updates and social engagement, you can remain visible to your fans and strengthen your relationship with them. Finally, no matter what your targeted audience may be, chances are they are using social media sites. One of the best things about social media is that it is accessible most anywhere, even when people are out and about. More than half of all Americans today have smartphones that they use to access their social sites. There are so many ways that you, as a business owner, can benefit from this. Not only are you able to reach a larger audience than ever before, but you can reach them and interact with them around the clock. Your customers can connect with you no matter where they may be. Furthermore, studies show that most users who are on-the-go use social sites to find a business, service or product they need at that very moment. Another great reason why you should consider using social media marketing to grow your business is that it offers you the valuable opportunity to check out your competition. Chances are, other businesses in your sector are using social sites to market their products and services as well. What this means is that you can keep abreast of any new products, services and promotions they may be offering. However, the best thing is that you will also be able to see what their customers think of their business. You can take advantage of this by learning what does and does not work for them. Now, you may be thinking that it sounds like a lot of work keeping up with social media sites and you simply do not have much time to spare. If this is the case, social media marketing services can help. These professionals have the knowledge and experience necessary to develop effective content for your social media sites. They also know best how to use search engine optimization to ensure that your marketing campaign is a success. Nevertheless, these are just a few of the fantastic ways that social media marketing services can positively change how you handle your business’s needs. Read on to learn about the many other ways they can help you. You may already know that social media marketing is the most affordable way for you to advertise. However, for you to get the most out of your marketing efforts, it is essential that you hire the help of professionals who know all of the best methods to market your products or services. When you hire the help of social media marketing services, they bring years of experience and exceptional skills with them. They will do everything necessary to increase traffic flow to your business’s website and gain a positive relationship with existing and potential customers. By using various external links on your social media sites, social media marketing services can direct consumers to your company’s website. In this way, it will be much easier for people to get the information they need pertaining to your business, products and/or services. Customer interaction is essential for your business to grow and succeed. 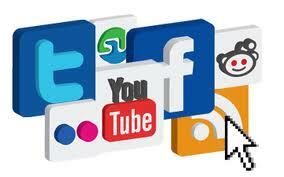 Social media marketing services make sure that there is a constant communication link between you and your fans. By maintaining communication, you can effectively build positive customer relations and loyalty. Of course, all businesses need a well-organized and knowledgeable customer support team. Why pay extra for this service when social media marketing services can help? Marketing services can help you maintain an around-the-clock customer support service, which will create a favorable impression on your customer base. Finally, perhaps one of the best advantages of hiring the help of social media marketing services is that you can receive valuable feedback and suggestions from both your clients and the marketing professionals. By listening to the opinions of fans, you can implement changes to enhance or improve your products or services. Additionally, since social media sites are constantly evolving with new techniques and practices, marketing services can offer useful suggestions to update your marketing methods. In-house personnel does not always have the skills to implement such updates. In fact, this is perhaps the main reason why businesses choose to hire marketing specialists. In closing, social media marketing services are essential to growing your business as they offer a vast array of benefits and services. However, the best benefit is that they help you reach a large and diversified audience. Contact Wizler.com today and find out how their services can help you get the most out of your social media marketing campaign. This entry was posted in Facebook, Google+, Instagram, LinkedIn, Social Media, Twitter on August 29, 2013 by sieker. Modern Internet marketing absolutely has to take advantage of social media to compete – but fear not, the benefits of social media are vast, and implementing great social media strategy is easy! Better yet, social sites give your business a direct feed to the minds of your customers and in return, your customers get a glimpse of your company in a more casual setting, thus building trust and desire for your product. Another benefit for using social media to advertise is that you get to see customers demographics — which is invaluable marketing information when developing a social media strategy. Your customers are people. They have desires, and they have necessities. Find out what those are, and you have a foot in the door of their attention. When you know what your customers want, you can tailor your content to those interests and easily increase your presence. Have you read a tips article recently? Simply adding the word “tips” to your favorite industry keyword will automatically pull in a crazy amount of views. Any time someone wants to learn more about your industry, chances are they’ll look for quick tips. Provide those tips and you’ve hooked a long-term reader. When you create content, does it sound dry and professional? Do you tend to use the same words and phrases repeatedly across your articles? Spice up your content creation with a bit of a voice. Content that looks written by a robot drives off customers, while a distinct voice will draw them in. Whether you’re working on a blog post or not, be on the lookout for interesting and evocative images. Make use of search engines other than Google Image Search or iStockPhoto for your imagery. It might end up taking a bit longer to figure out the image licensing, but the reward is a much more vibrant finished post. Don’t write as if you’re a corporate god speaking down from on high. Reach down to your customers with a plain and level voice. Social media is social! Your customers are there to talk, not to listen to lectures. Social media is, of course, an advertising tool. Use posts on your multiple social media sites to advertise your events. If you’re holding a job fair, a product demonstration or anything else, you can draw in a larger audience with a few social posts. Once isn’t enough either, post frequently so that everyone catches it. You’re going to have social media accounts on a number of different sites. You need your brand to be consistent between them. Your customers need to know if they come from a Facebook account to a Twitter account, they’re still talking to the same company. Readers love contributing to the conversation. End your blog posts or your social media updates with questions to encourage readers to comment and share those posts. This gives you a deeper insight into your customers as well as engaging them to the topic at hand. This can be particularly informative when you bring up a controversial topic within your industry. Your social media accounts need to be updated constantly. That means you need significant amounts of manpower invested in social management. Often, this manpower is taken away from content generation, or vice versa. In these cases, don’t be afraid to outsource some of your content. Copywriters in your industry specialize in writing exactly what you need, so take advantage of their services. Even if it doesn’t seem useful at first, set up profiles on every social media site. 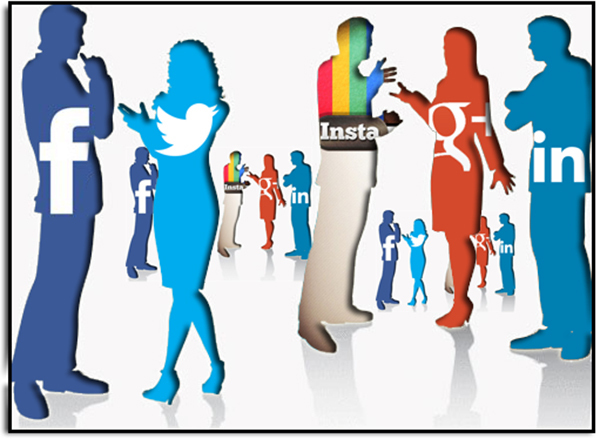 Make sure, at minimum, you have a presence on Facebook, Twitter, Google+ and LinkedIn. If your users have a presence, you can set up Orkut, Pinterest or other specialized sites. You might even consider a Tumblr account, if you can handle the unique culture. Your users are using mobile devices to browse. It might be a smart phone, a tablet or an e-reader. Your site needs to be accessible on all of these devices. Responsive web design is the easiest way to achieve this, but mobile-friendly site design works as well. Social media, like SEO, is constantly changing and evolving. It’s as minor as trending hashtags and as major as new Facebook layouts or new sites opening up. It’s far, far easier for you to look ahead and take advantage of these changes when they happen than it is for you to scramble to react when they catch you unprepared. Post during work hours, when people are distracted and browsing their favorite social sites. Post 5-7 times a day on Twitter, but only 1-4 times on the slower sites like Facebook and Google+. When you post new content on your blog, share it on these social sites. Don’t be afraid to post more frequently if an issue comes up, but avoid spamming your users with low-content posts. Inforgraphics are tricky to make, but they are a very attractive means of presenting information. Generally, all it takes is a few choice colors, a visual way to represent statistics and some clip art. They’re very attractive, and they require the user to open the image to view the content, leading to a higher initial involvement with the post. Google Analytics now offers Social Reports. These reports give you plenty of information on what posts are being shared on what sites and in what manners. Use this data to tailor your posts to these methods of sharing for maximum visibility. Looking to the current trends will give you something to talk about. It really is that simple. Analyze the mood of your users, the subjects they’re talking about and how best to work it into your posts. Take advantage of the data they’re giving you simply by taking part in social media. Conversations are a great way to make your company more real. Speak to them like people, act like a person and they’ll trust you more. Simply setting up a queue of autoposted articles and event notices gives you all the conversational skills as a billboard — and makes your profile about as effective. Pick a goal and work towards it. If a strategy doesn’t work, kill it and start again. If you’re always moving towards success, you’re more likely to reach it. Having a goal in sight gives you a target for step by step planning. It’s easy to be overwhelmed by social media and hesitate. It’s easy to put off registering for these sites until you have content to post. It’s easy to lose out on traffic because you’re too busy making sure every last detail is perfect. Opportunities pass you buy if you wait before you act. Your social media team isn’t an autonomous unit. They need feedback to function. Make sure you’re engaging with your team and keeping them appraised of your goals and policies. Happy and knowledgeable social media managers are much less likely to cause social scandals. This entry was posted in Facebook, Google+, Instagram, LinkedIn, Social Media, Twitter on August 23, 2013 by sieker. Regardless of your business, the importance of social media cannot be stated enough. Popular social media websites like Facebook, Twitter, Google+, and LinkedIn provide rare opportunities for businesses to directly interact with clients and customers. But, with several different platforms of social media, it is not always easy for businesses to know which platform to focus and dedicate consistent amounts of time for social media marketing. That’s why it is so vital to consider outsourcing social media as in the comprehensive service packages provided by Wizler. 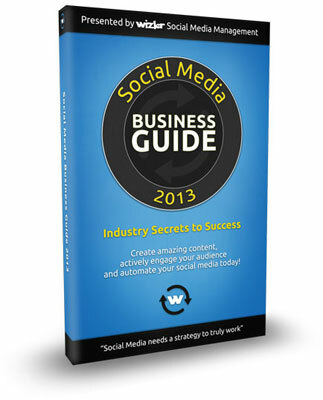 Wizler is a Social Media Company that focuses on Social Media Management. The term “Social Media Management” precisely means what the word states – Wizler will take care of all social media actions, including posting tweets and updating Facebook pages, for the business, so the business owners can just focus on running the businesses. Wizler makes the service simple for business owners by handling all the platforms based on the information and business descriptions provided. 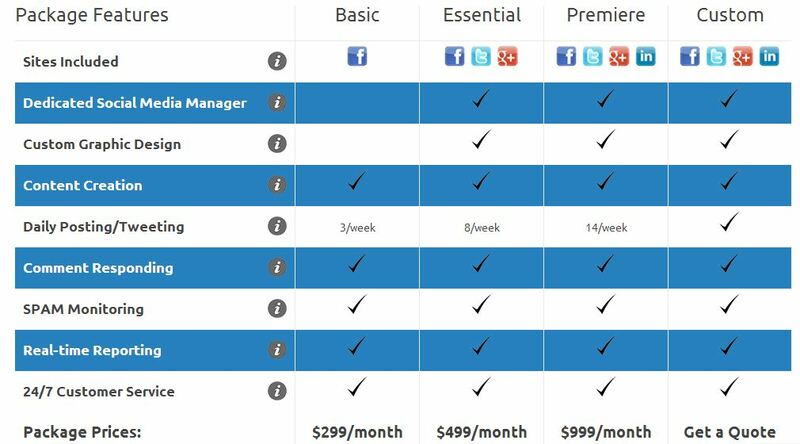 At Wizler, four types of social networking packages are available to the businesses: basic, essential, premiere, and custom. All packages include comment responding, SPAM monitoring, real-time reporting, content creation, and 24/7 customer service. But, basic service is only limited to Facebook, and only Premiere and Custom services show supports for Facebook, Twitter, Google+, and LinkedIn. Each package is different in amount of posting, custom graphic design, and dedicated social media marketing manager. Even if the business already has existing in-house social media marketing managers, there are several benefits to considering services like Wizler. First of all, Wizler is a company that solely focuses on the Social Media Management. Wizler is constantly aware of changes and upgrades to the social media services and carefully targets keywords to respond to the current trends. 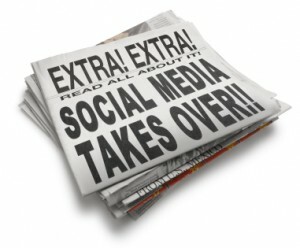 For most businesses, it is not possible to achieve the same level of social media marketing campaigns as Wizler does. 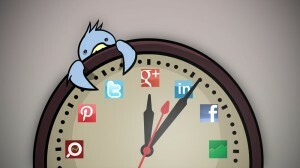 Second, outsourcing social media ensure businesses to have enough time for other business matters. Social media is important, but businesses must not neglect other responsibilities as well. Lastly, various social networking packages offered by Wizler will make sure that the businesses carry appropriate social media campaigns to meet their goals. These packages can help in revising or adjusting existing marketing goals of the businesses as well. Overall, the businesses who want to improve their brand awareness and interact with clients better should consider outsourcing social media through Wizler. This entry was posted in Facebook, Google+, Instagram, LinkedIn, Social Media, Twitter on August 5, 2013 by sieker. With the advent of today’s new social media advertising, on Facebook especially, research shows that people are very likely to put trust in the recommendations of friends, and acquaintances, when it comes to their likes, of particular brands, that is, in comparison to traditional commercial advertising methods, or suggestive brand advertising. With the onset of this new norm, the business world has also seen the rise of the social media firm. Finding the right firm, might also entail finding the right price, since there is indeed a spectrum of prices. Using social media management companies to help capitalize on this sort of business optimization requires know how with respect to both social media platforms, as well as the impact of personal opinion, and how it can lend reinforcement to marketing brands. The simple fact of the matter is that, since social media marketing is something that utilizes viral tools to advertise, more often than not, just having a social media site up and running can do wonders for any company’s public growth of sales. With that said, this is not necessarily the sort of package that should break the bank. There are several competitive companies that offer relatively inexpensive rates, for a loaded package. Nonetheless, although having a site online can do a lot of work for your company with only minimal attention needed, updating your social media site on a regular basis can ensure the increased, and exponential growth of your company, especially when it comes to responding to inquiries, or commenting, and replying to interested potential clients. This aspect of social media marketing is important, and requires showing the public that your site is actually active, and current, one that provides feedback in real time, or within realistic time frames. By investing in a social media adviser, who will take on this work for your small or large company, valuable time can be freed up allowing more focus on other prioritized areas of the business. 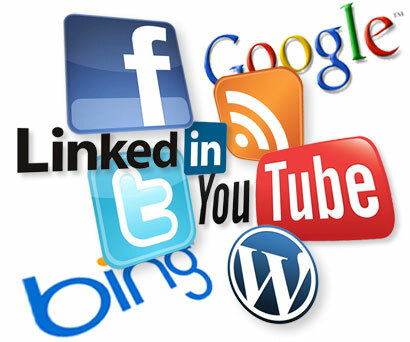 Consequently, most of the companies offering social media packages offer clients support 24 hours a day, and seven days a week.By purchasing a social media package, and working with network professionals, new, and old business alike, can revamp their looks, while increasing SEO traffic with custom designs to promote any brand. In order to reflect the exact look the company is looking for, industry professionals work to help clients navigate through styles, and custom designs, that fit the exact look the company is going for.Increasing SEO traffic is a pivotal part of reaching online success, and maintaining a competitive edge, in today’s global market. Working with a social media professional will ensure that any generic company chooses the right social media platforms to show case, and push its brand, while extending market reach. This entry was posted in Facebook, Google+, Instagram, LinkedIn, Social Media, Twitter on August 2, 2013 by sieker. Social Media Marketing Managers – Does Your Company Need One? Modern advertising has become a very different entity compared to years ago. This is in part due to huge social media sites which are ever increasing in popularity today. With all the money that goes into advertising, it’s important to take advantage of the power of social media marketing. While a relatively new concept, it has become a forefront of modern advertising. Businesses large and small are capturing new online visitors with correctly implemented social media marketing. It’s a simple fact that a lot of people tend to ignore traditional methods of advertising today. Web browsers and even some phone apps contain spam blockers that can keep any product from reaching its intended audience. Social media works great for businesses because it has the same effect as word of mouth transfer. One of the biggest decisions people make in deciding if they like a product or service is if their friends and family like it as well. Creating trust with a brand has never been easier than it is through social media marketing. It’s not uncommon to see men and women buried in their cellphones browsing popular sites like Facebook and Twitter. According to a national statistic, roughly 15% of online cellphone usage is dedicated to browsing these sites. Nearly every form of business, from national corporations to local companies, is taking advantage of this large pool of online traffic. 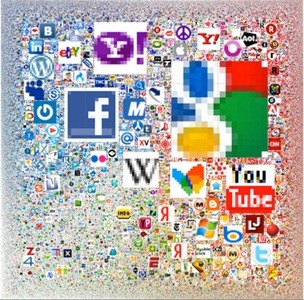 Social media marketing might be the best way to get an edge over a business competitor online. Social media optimization services can take turn this huge pool of traffic into quality business advertising. Keeping a product fresh in a customer’s mind is one of the keys to maintaining business over the long run. A quality social media strategist can make a company stand out as well as flourish in this relatively new form of marketing. One of the best social media marketing sites is Wizler. They have a unique platform which involves creating unique content related to your brand and them marketing it on a regular basis on these sites. The end result is a virtually automatic marketing platform that can work for all kinds of businesses. In terms of a social media marketing price, Wizler’s plans are only $299 a month. Considering businesses use marketing such as register tape ads for around the same price, this is a fantastic opportunity. Countless people will become familiar with your product or service over the long term. This entry was posted in Facebook, Google+, Instagram, LinkedIn, Social Media, Twitter on July 31, 2013 by Jaclyn Freedman.